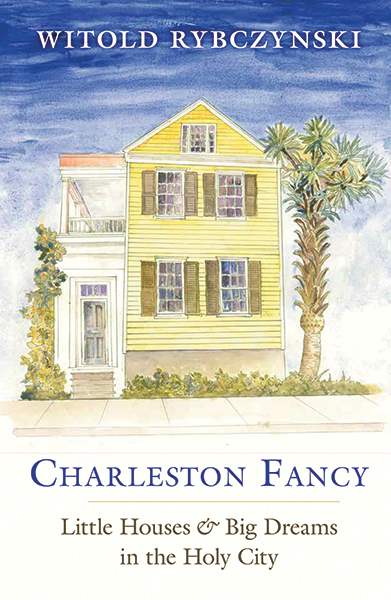 Charleston, South Carolina, which boasts America’s first historic district, is known for its palmetto-lined streets and picturesque houses. The Holy City, named for its profusion of churches, exudes an irresistible charm. Award-winning author and cultural critic Witold Rybczynski unfolds a series of stories about a group of youthful architects, builders, and developers based in Charleston: a self-taught home builder, an Air Force pilot, a fledgling architect, and a bluegrass mandolin player. Beginning in the 1980s, this cast of characters, exercising a kind of amateur mastery, produced an eclectic array of buildings inspired by the past—including a domed Byzantine drawing room, a fanciful medieval castle, a restored freedman’s cottage, a miniature Palladian villa, and a contemporary Mediterranean street. In his careful profiles of these protagonists and the challenges they have overcome in realizing their dreams, Rybczynski compellingly emphasizes the importance of architecture and urban design on a local level, how an old city can remake itself by invention as well as replication, and the role that individuals still play in transforming the urban landscapes around them. Witold Rybczynski is an architect and emeritus professor of urbanism at the University of Pennsylvania. He is the author of twenty books, has served as architecture critic for Slate, and has received numerous awards.